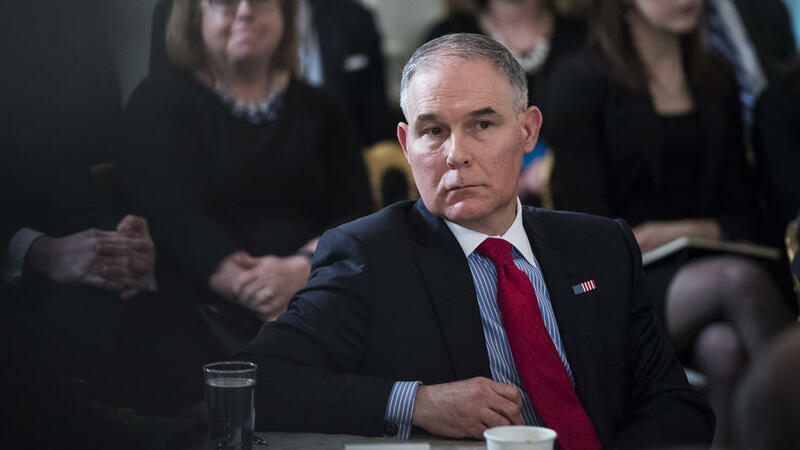 Environmental Protection Agency Administrator Scott Pruitt, seen here on February 26, 2018, remains under scrutiny for his travel practices and other expenditures. The officials, who spoke on the condition of anonymity to discuss internal deliberations, said the agency ultimately did not move forward with the plan because it would have been prohibitively expensive. Pruitt's aides had contacted NetJets, a well-known firm that leases such planes, and received a cost estimate of roughly $100,000 a month, the officials said. "This is not news," EPA spokesman Jahan Wilcox said in a statement Monday. "EPA's [chief financial officer] regularly receives solicitations for this type of travel, we did our due diligence, found it was not as cost efficient and continued to fly commercial." News that Pruitt's team explored a six-figure contract for chartered flight comes as he is facing a number of ethics questions in addition to scrutiny from lawmakers of both parties about the many first-class domestic and international flights he took during his first year in office. In recent weeks, the EPA turned over documents to House Oversight and Government Reform Committee Chairman Trey Gowdy, R-S.C., detailing $68,000 in newly disclosed travel costs for Pruitt since August. That comes after The Washington Post reported on the tab for Pruitt's earlier travels, including a trip to Italy last June that cost the agency at least $120,000 for the administrator, his aides and his personal security detail. EPA officials attribute the elevated expense of Pruitt's travels to the security precautions they have undertaken because of the number of threats he has received — especially compared with his immediate predecessors — since joining President Donald Trump's Cabinet in February 2017. The agency has argued that Pruitt's predecessors also spent large sums on foreign travel, though they typically flew coach.